Dancers will be placed in a color-coded level based first on ability, then age. They will be required to wear a black leotard and a colored ballet skirt coordinating with their level color for ballet class. Pink Level– Typically consists of dancers ages 5-7, dancers are required to attend one ballet, jazz, and tap class a week. Blue Level– Typically consists of dancers ages 6-8 that have advanced in their knowledge of basic terminology and technique, dancers are required to attend one ballet, jazz, and tap class a week. 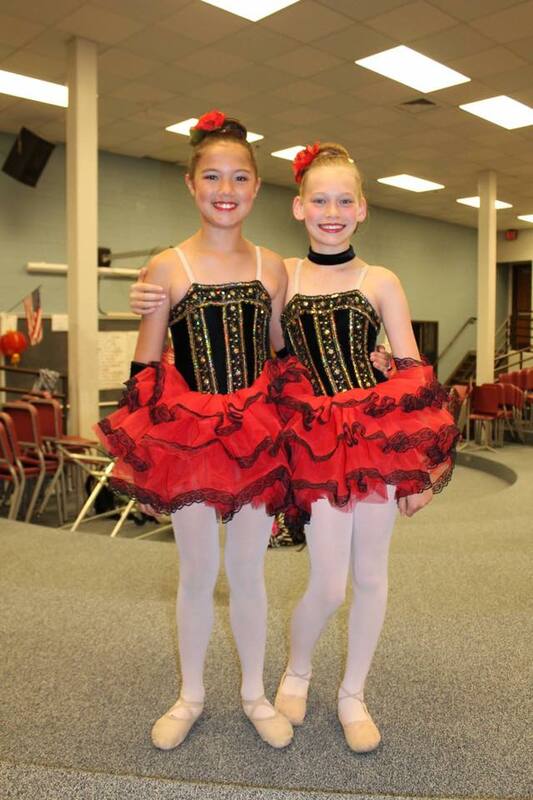 Red Level– Typically consists of dancers ages 7-10 with strong, dancers are required to attend one ballet, jazz, and tap class a week. Dancers will now be introduced to a lyrical class. Purple level– Typically consists of dancers ages 8-14, dancers should have a good understanding of technique in all genres of dance and prior dance training. Dancers will now be introduced to a contemporary class. Ballet will be offered two times a week as well as a jazz, tap, and lyrical class. Black Level – typically consists of ages 11-16; this is a more advanced class for dancers who have extensive prior dance training. Two ballet classes, jazz, tap, contemporary, and lyrical will all be offered. Junior Company – Our second highest training level consisting of some of our most highly trained dancers. Audition Only. Senior Company – Our highest training level consisting of some of our most highly trained dancers. Audition Only.